While self-claims in the world of retail cannabis ought to be taken with a pretty major grain of salt, it’s worth pointing out that Love Hemp claims to be the “#1 Supplier of CBD and Hemp Products” in the UK. Further, the increasingly popular company has made the pretty audacious claim of being the “finest purveyor of CBD oil in the UK,” as they market and sell 100% natural (and according to them, legal) cannabis-derived supplements that are sourced from “low-level” THC hemp. If you are a UK resident looking for reliable, accurately-priced, well-made CBD oil, this is no doubt a company worth checking out. Let’s take a look at what they’re all about in this all-inclusive Love Hemp review. Who Is Love Hemp CBD [UK-Only Company]? The company was founded in 2015 and currently operates out of London, though of course their complete range of CBD products for sale are available for shipment throughout England, Scotland, Wales and beyond. As of 2019, they currently offer a range of full-spectrum CBD oils, topical CBD lotions, CBD vape oils, and even CBD edibles. However, our it was evidently clear in our Love Hemp review that their flagship product is their line of oral CBD tinctures, which are designed to be consumed by placing oil droplets under the tongue and then swallowing. Love Hemp also manufacturers are interesting line of CBD water, though it appears that these are in-store only and are not available for online ordering in the UK. Continue reading below to check out our complete Love Hemp review, and also to browse through the company’s entire selection of quality hemp-derived products. Over the course of our Love Hemp CBD oil review, it was clear that this company operates on a foundation of knowledge, passion, and expertise. We actually spoke with customer service over the phone a few different times, and each team member that we talked to was friendly, patient, helpful, and most importantly – knowledgable. Free delivery on orders over £100. If you’re just trying out CBD oil for the first time, this really isn’t that great of a bonus. If you’re a frequent user though who goes through a month-by-month supply, saving money on shipping can really add up in the long term. State-of-the-art HPLC analysis on all products. 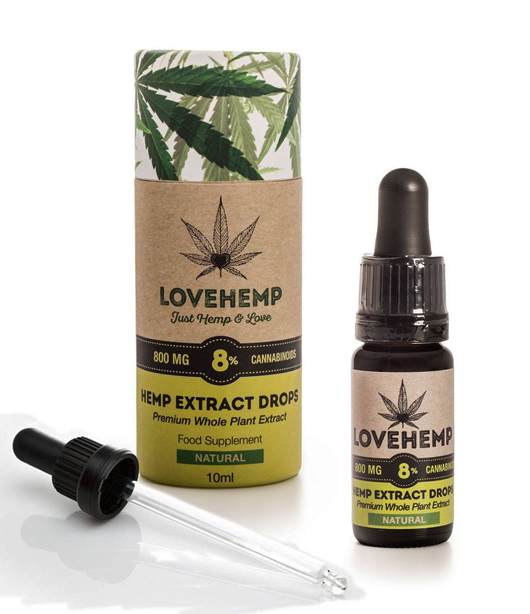 Love Hemp is one of the few companies in the UK that offers transparent HIgh Performance Liquid Chromatography (HPLC) lab analysis on all of their products (you can message them for the most up-to-date reports on each specific product). Essentially, the HPLC reports verify both the CBD content and the purity/quality of the oil. 100% non-psychoactive. This should be expected for any CBD hemp oil for sale in the UK, but the fact that Love Hemp analyses all of their oils with independent HPLC labs makes them all the more reputable and trustworthy. Available in a variety of strengths/potencies. We found during our Love Hemp review that the oils come in four different potencies (8%, 10%, 20%, and 40%), which is perfect for a wide range of individuals. CBD e-Liquid and CBD edibles for sale [UK availability]. In our experience, it is very difficult to find reliable, well-made CBD edibles for sale in the UK. Love Hemp offers CBD-infused chocolate bars, as well as potent CBD gummies and a new form of CBD-infused water. Naturall, one of the downsides of our Love Hemp CBD oil review was we quickly found out these products aren’t cheap. For the lowest-strength oral tincture, for example (an 8% formula that contains 800mg total cannabinoids), the cost was (at the time of writing) a rather hefty £49.99. For higher-strength oils, prices can exceed £120. Also, another downfall we discovered in the Love Hemp review that didn’t leave us overly impressed was the fact that their highest-potency formula – a 40% CBD tincture that contains a whopping 4,000mg of hemp extract – was “Sold Out” until further notice. 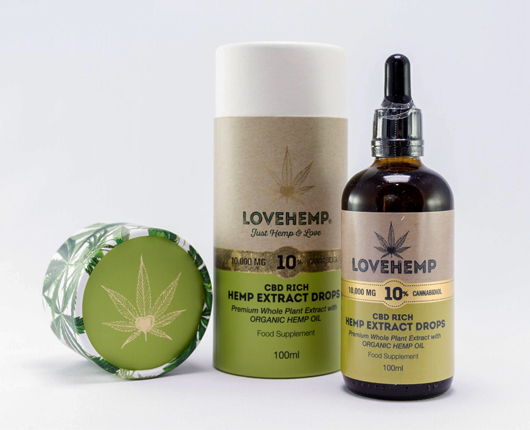 We do really enjoy the fact that Love Hemp CBD offers free shipping on all orders over £100, but this doesn’t exactly do anyone any good if the products aren’t available for sale in the first place. To be clear, MHRA stipulations in the United Kingdom state that unless CBD products have obtained the proper “market authorisation,” they are legally not allowed to be used or marketed as medicine. With that in mind, I used my 20% Love Hemp CBD oil as a food supplement, and I thoroughly enjoyed every bit of it as it worked exactly how I expected it to. I suffer from intermittent anxiety and trouble sleeping, and I have taken many medications over the years that have been designed to treat these very ailments. Some of them worked well and some of them didn’t, but the main thing that I remember is how debilitating the side effects were; something I would not wish on my worst enemy. 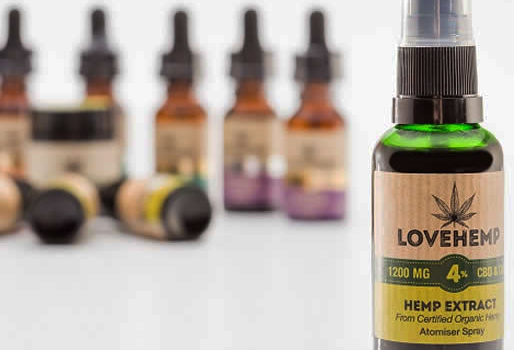 Love Hemp CBD oil comes in 10mL bottles, which in the case of the 20% tincture means you get approximately 2,200mg of CBD total. On a drop-by-drop basis, this equates to roughly 11mg of CBD per single drop – a very potent serving by anyone’s standards. I was consuming about 45mg of CBD per day (2 drops in the morning and one in the evening), and the bottle lasted me 50 days – not a bad value at all (at £149.95) for nearly two-months worth of CBD oil. All in all, I’ve come to the conclusion that Love Hemp offers some of the highest-quality CBD oils for sale in the UK. If you’ve tried a few different brands without any success, be sure to give these guys a try. Love Hemp CBD for sale in the UK comes in a useful variety of formats, sizes, strengths and potencies to fit most people’s needs and financial budgets. I was using the 20% CBD oil, but there are cheaper options available for those who don’t want to pay over £100. Topical CBD Cream. Love Hemp topical CBD comes in the form of a Body Salve, with each 50mL jar containing 300 mg of CBD extract. CBD E-Liquid (for vaping). Love Hemp CBD vape oils are 100% nicotine free, and come in three different potencies: 100 mg, 250 mg, and 750 mg (each of which come in 15mL cartridges). They also offer a Kanger K-Pen mini e-cigarette which has a 2mL capacity, meaning you could refill it about seven times with one cartridge of 15mL Love Hemp CBD vape oil. Lastly, they offer a 1mL vial of liquid terpenes which you can add to any vape oil to give it a more “natural” cannabis flavor. CBD Wax Concentrates (for vaping/dabbing). Love Hemp is one of the only brands we’re aware of that offers CBD dabs for sale in the UK. They offer 90% CBD crystals with infused terpenes in a variety of different strains/flavors (OG Kush, Blue Dream, Pineapple Express, Grandaddy Purple and Watermelon OG). The crystals can be used in either a vaporizer or a dab rig, and come in 250mg, 500mg and 1,000mg sizes. They also offer a 99% pure CBD isolate which comes in the same sizes, as well as an 85% CBD wax crumble that you can either vape or dab. CBD Edibles. Love Hemp has two different kinds of CBD edibles for sale in the UK: CBD gummies that come in two different potencies (10mg and 25mg per gummy), as well as delicious CBD-infused chocolate bars for those with a sweet tooth. As we said in the intro, it didn’t take long during our Love Hemp review to realize that the price of these guys’ CBD oil is not the most attractive on the UK market. While they offer one hell of a high-quality brand of cannabidiol, there are certainly more affordable options available for those operating on a budget. CBD Edibles | CBD gummies range in price from £9.99 to £349.99 (they are available in bottles of 10, 25, 50, 100, 200, and 500). CBD-infused chocolate bars are £14.99 each. All in all, it was easy after conducting our Love Hemp review to come to the conclusion that this is one of the best CBD oil companies in the UK today. Not only does the brand offer a complete range of cannabidiol products for sale (each of which is extracted from high-quality hemp plants), but they possess a level of expertise and customer care that is troubling difficult to find in the current cannabis marketplace. 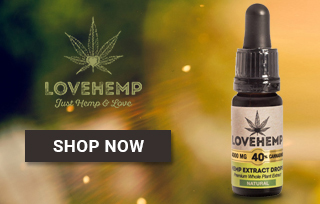 If you have been looking for legitimately top-notch CBD for sale in the UK, and don’t mind shoveling out a “fair price” for some high-grade product, then we highly recommend Love Hemp. You can visit them at their official website and browse current deals and promotions over at www.CBDOilsUK.com — and be sure to tell them that Shopping CBD sent you! CBD Infused Chocolate Bars from Love Hemp are now my favorite valentine treat. I absolutely adore these chocolates from Love Hemp. Love Hemp’s body salve is pure relaxation in a bottle – great for those post-work out aches. The Love Hemp chocolate bites are perfect for any sweet tooth, a great treat in the evening. The brand Love Hemp has actually made me love Hemp. The CBD infused chocolate bars from Love Hemp are ideal for those who want to enjoy the dual benefits of chocolate and CBD - helping you achieve a state of ultimate relaxation. Often I can feel quite sluggish when I wake up, I’m not the best sleeper, this CBD oil helps wake me up and feel uplifted for the rest of the day. Leo from Ashburn just bough! Xander from Ashburn just bough! Lincoln from Ashburn just bough!